This week, five new films join our Long Range Forecast. 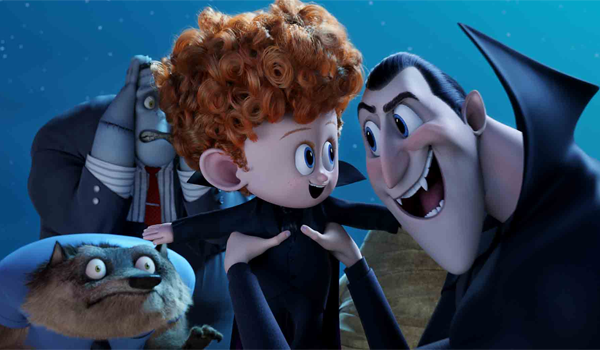 Hotel Transylvania 2 should easily win the weekend upon its September 25 debut, but will it live up to the 2012 original's performance? Also, Everest and Sicario will expand into wide release on the same weekend. Our initial predictions for those and other newcomers are in the table below. - The 2012 original was a big hit for Sony, earning $148 million domestically after a $42.5 million opening (a September record which still stands). - Most of the all-star voice cast is returning, along with some new talent in support of Adam Sandler's lead. - As the first major animated release of the fall (and since July's Minions), family demand should be fairly strong. - Sandler's drawing power (even among his once reliable family audience) has taken a big hit in the years since the first film, particularly with the under-performances of Pixels and Blended. - Animated sequels don't always guarantee repeated success, although a similar run to the first isn't out of the question if the Cloudy with a Chance of Meatballs pics are any indication. - October has a couple of high profile family-friendly flicks set for release. Could they impact this sequel's long term run? Check out our complete Long Range Forecast in the table below. The Intern Sep 25, 2015 Warner Bros.
Black Mass Sep 18, 2015 Warner Bros.
We Are Your Friends Aug 28, 2015 Warner Bros. The Man from U.N.C.L.E. Aug 14, 2015 Warner Bros.
Phil Contrino, Daniel Garris, and Shawn Robbins contributed to this report.